Autotag is pleased to offer our customers a selection of products which are either plastic-free or use recycled plastic. 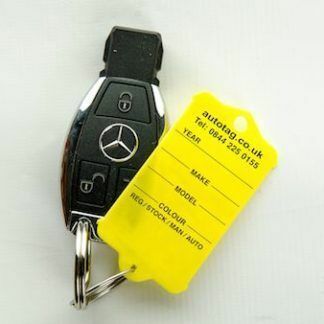 Whatever your key tag requirement, view the products online or call us on 0844 225 0155 to speak to our Sales team. 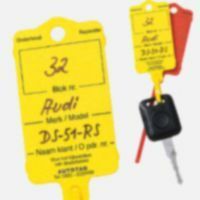 Autotag’s market-leading key tags are recognised throughout the motor trade as the tags to use. Our prime Mk I/II/III tags are available as standard in printed or plain format and can be personalised at an additional cost. Mk I/II boxes carry 200 tags and two quality indelible marker pens. The Mk III comes in boxes of 300 with a pen. Mk I/II/III tags offer a progressive discount per box depending on the number of boxes being ordered. Mixed orders of the Mk I & Mk II also qualify for a discount. Our Autopocket product provides a solution for managing today’s large key fobs or cards. 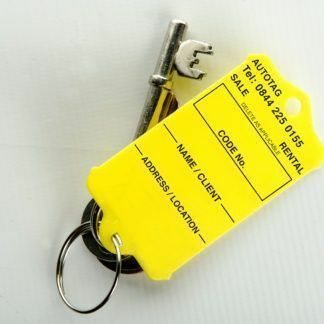 We also supply Estate Agent tags for the property sector, specialist Number Block tags to accompany the popular Number Block product and Clear Perspex Fobs. Our best-selling product is the Mk II key tag which uses a cable-tie tail to feed through the key & back through the tag to secure it. The Mk I tag with the steel ring is also a popular choice with our customers. Our primary business is supplying customers in the auto/car dealerships & showrooms, vehicle rental agencies, car/auto servicing businesses, workshops & garages – both here in the UK, Europe & further afield. 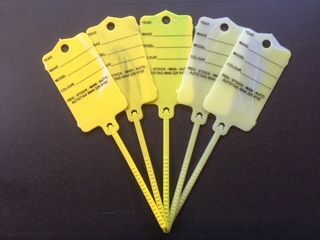 In addition to the standard year/make/model/colour printed format, we also supply key tags with prints specific for estate agents, the livestock and electronics industries and many more. For extra distinctiveness, the print can be personalised to your own design (minimum order 10,000 key tags). Contact us on 0844 225 0155 to discuss personalisation opportunities to satisfy your exact requirements. 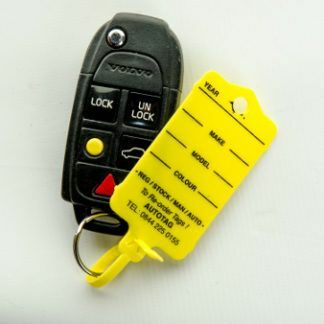 These key tags can be used for auto/ car dealerships & showrooms, car rental agencies, car/ auto service agencies, commercial vehicle operators, workshops & garages. Autotag is pleased to offer our customers a selection of products which are either plastic-free or which use recycled plastic. Our mission is to invest in developing environmentally-sympathetic new materials & manufacturing methods to minimise our carbon footprint. 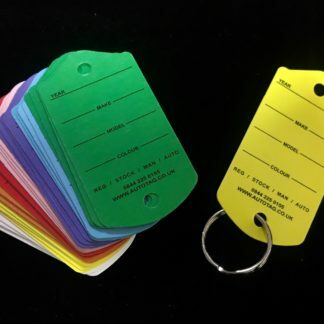 Our standard Mk I / II & Workshop key tags are manufactured from polypropylene (plastic no., 5 for recycling & contain only carbon & hydrogen atoms. Additionally, we employ thermal printing to avoid the use of harmful chemicals. These tags are environmentally harmless upon disposal as general waste but do take a considerable period of time to degrade … another good reason to consider recycling. 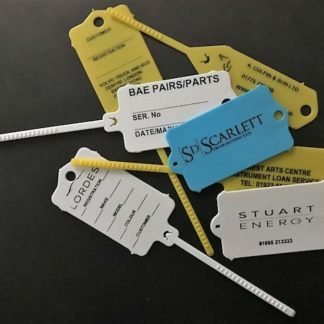 We offer a straightforward Returns Service for our customers & this enables us to clean & regranulate used tags for recycling into a wide variety of plastic products – including more tags. Eco – card tags (MkI): These are our most environmentally-friendly tags and are FSC-approved. These are card tags which carry PEFC certification and are supported by the Woodland Trust. What is more, the tags are printed to both sides – allowing each tag to be used twice before disposal. Box of 200 eco-friendly card tags in the MkI tradition. 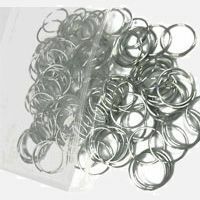 Supplied either with or without steel rings. Discounted price for orders of 5 or more boxes. Eco – polypropylene tags (MkII): These tags have proved popular since they were introduced two years ago. They are the product of changing a production run from one colour to another during the injection moulding process. They were previously rejected as a by-product & were recycled via degranulation into other products but, in response to demand from environmentally-conscientious customers, we supply them at a lower price. Recytag (Recycled polypropylene): This tag is manufactured from recycled waste or tags that are returned to us via the Returns Service. 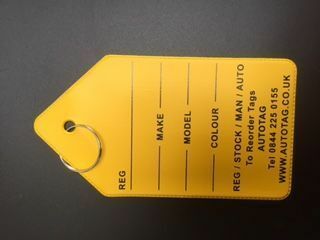 The process allows limited use of colour so the tags are supplied only in black or white – with the black tag being supplied with white, silver or gold pens.